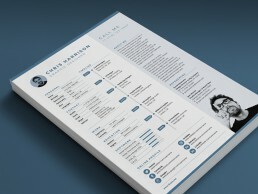 MATERIAL RESUME is a bold, dynamic and professional resume template designed to make a lasting impression. 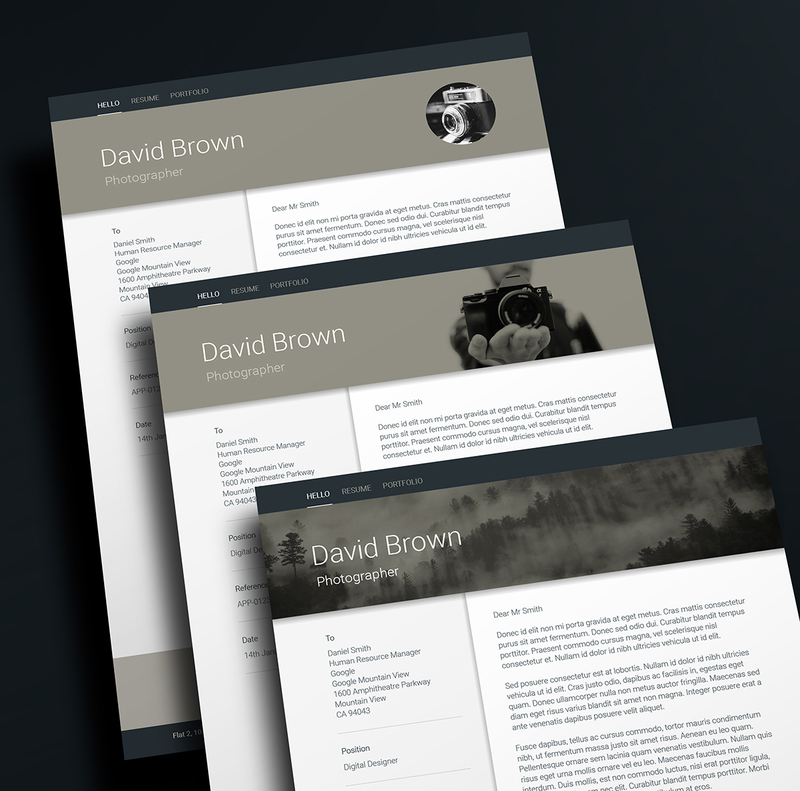 The designs features a customisable header and footer area, which can be personalised with your own image in minutes. 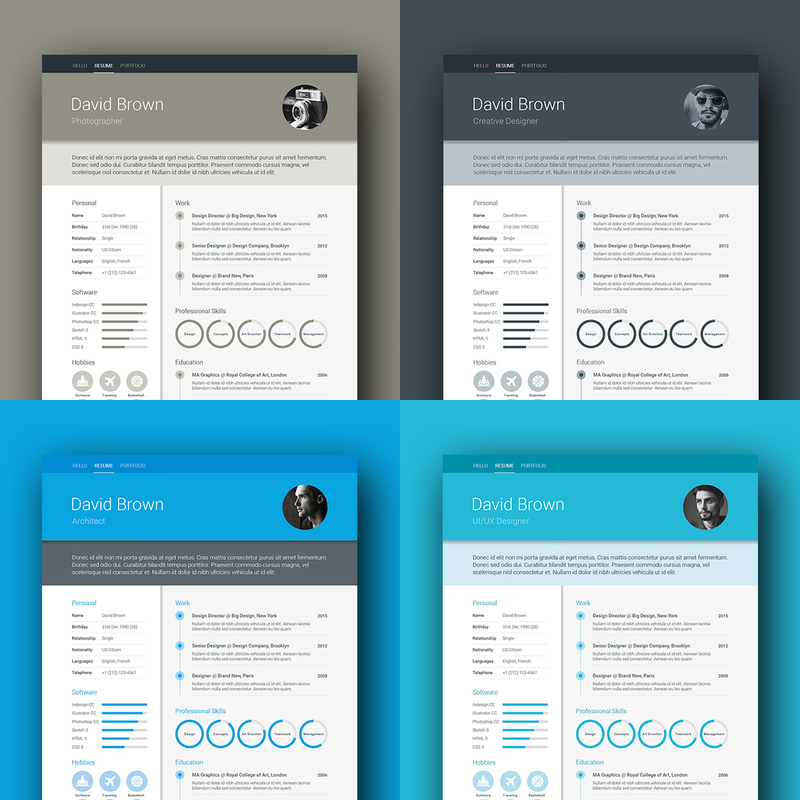 Four colours are supplied – dark grey, warm grey, blue or aqua versions. Colours are editable and can be changed quickly with global swatches. 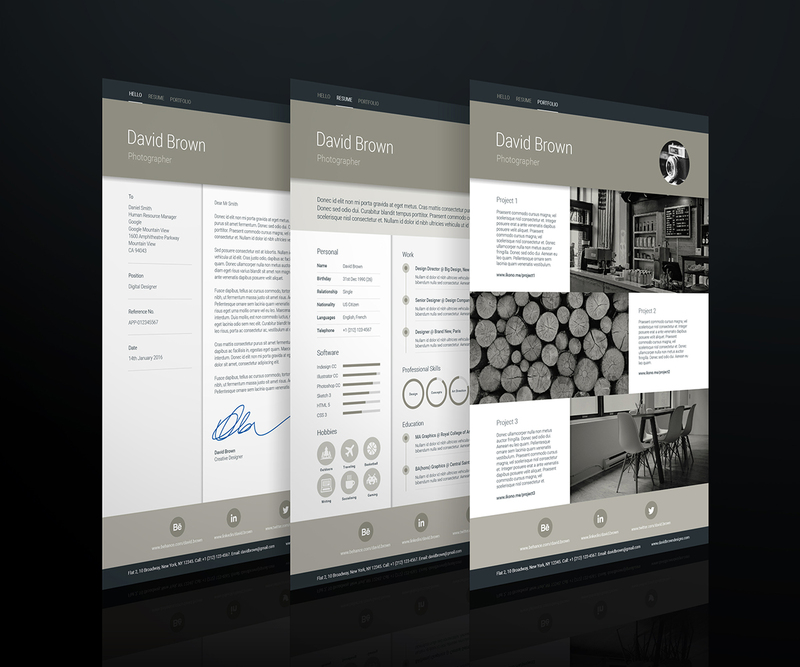 Easy to edit and customise, with a single page resume design, cover letter and portfolio templates. 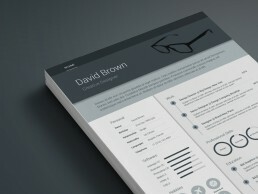 Material Resume also includes matching business cards to complete the look. 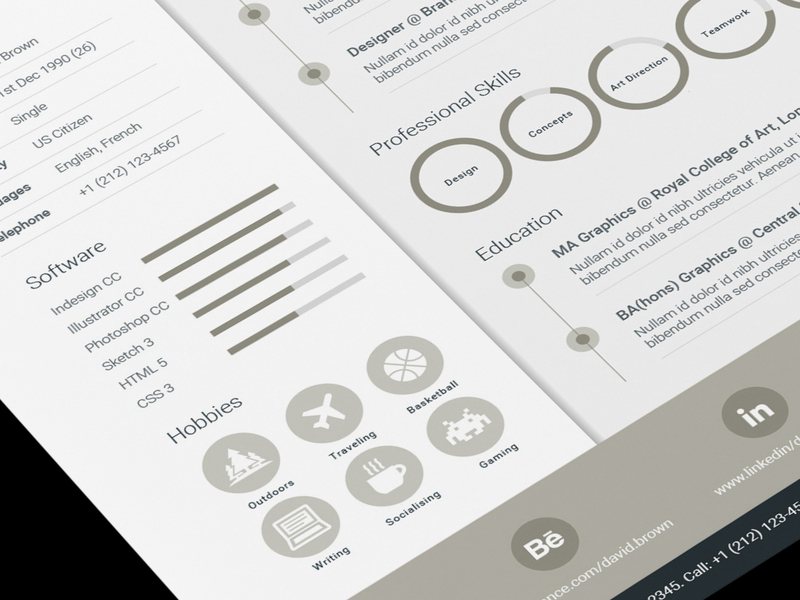 Material Resume is available in A4 and US Letter sizes with templates supplied for Adobe Illustrator, Adobe Indesign and Adobe Photoshop. 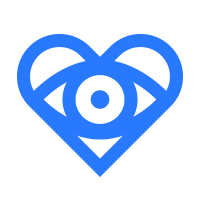 The templates were developed using free fonts (links are included with the download). 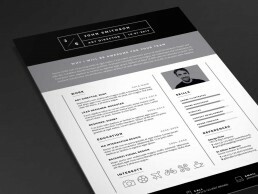 Material Resume bold design creates a lasting impression. The header and footer can be customised with different images. 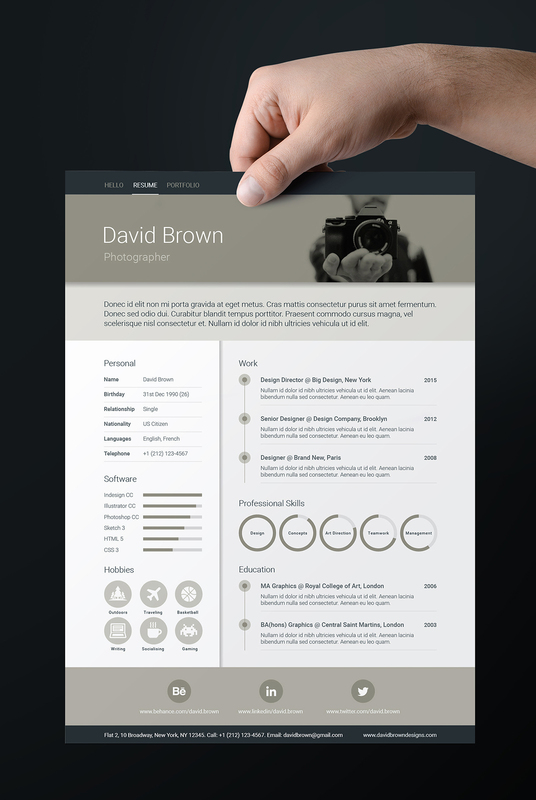 Material Resume features editable graphics and over 90 bespoke icons. 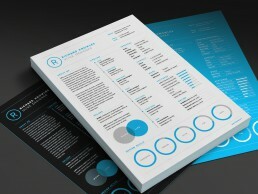 Material Resume is supplied in four different colours. All colours are editable.